This gated community of luxury custom homes, quality real estate, and custom lots surrounds the Jack Nicklaus Signature Golf Course, a world-class clubhouse, walking trails, tennis and fitness center, and more. The backdrop is one of timeless beauty and majesty. The homes exude Old World charm. The feeling is one of highest quality and attention to the smallest detail. It’s enchanting. Alluring. Private. There’s a look of seamlessness, with the homes blending harmoniously into the landscape. Montrêux is as nice and amenity-laden as any resort, yet it’s warm and inviting. Like home. Montrêux is designed and built to live in, but more importantly it’s built for Life, with a capital L—the days and nights that become memories. The rounds of golf, sets of tennis, hikes at sunrise, and relaxed dinners in the clubhouse at the end of the day. The moments that define how you live. 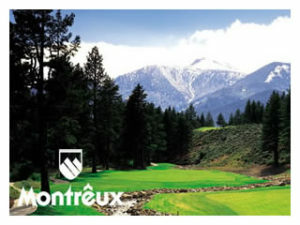 Nestled in the scenic foothills of southwest Reno, ArrowCreek is a gated, master-planned golf community located between the radiant downtown city lights, the shimmering snow-capped peak of Mt. Rose and the vacation paradise of famous Lake Tahoe. ArrowCreek is a year-round paradise for outdoor recreation and exciting community activities for all ages. At the heart of ArrowCreek, world-class resort-style amenities will inspire you to seize the day. The community’s Residents’ Club, has a Full-time Activities Director, miles of meandering hiking and biking trails and more than 1,500 acres of protected green space give a glimpse of what is it truly like to lead a “full life.” ArrowCreek offers many different living options including acreage custom home sites, semi-custom homes and custom homes. The views from your new home could include our golf courses, downtown Reno, the Sierra Nevada mountains or the South Valley. 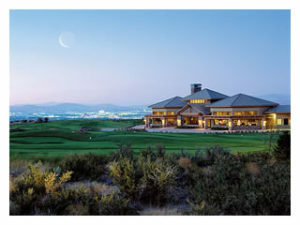 Blended within a spectacular championship golf course designed by Tom Kite, Somersett is destined to be one of Reno’s most prestigious new home golf communities. 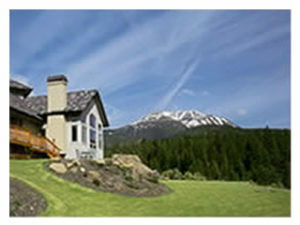 Nearly every home site has views of the community’s golf course and Sierra Mountain Range. In addition, residents of Somersett will enjoy The Club at Town Center. This $9 million, 21,000 square foot recreational complex will be splendidly appointed with many amenities, from tennis courts, swimming pools and an expansive fitness center to a snack bar, activities room and comfortable lounges. Somersett features a community trail system that will extend more than 25 miles, perfect for an evening walk or an invigorating bike ride. When purchasing a home in the community of Saddlehorn, you get the perfect location with an established community. There is a community park consisting of 13 acres, a playground, ball fields, ball courts, paved walking & jogging trails, horseshoe pits, pavilions, and BBQ pits. The community also offers 50-acres of common area making this the perfect spot for anybody. The entire Sierra Nevada Desert is at your fingertips. Much more recreation is within minutes. Mt. Rose skiing is ten minutes away, six championship golf courses surround the area, beautiful Lake Tahoe is twenty minutes away. The community give a feel of seclusion, but all that Reno, Nevada real estate has to offer; parks, golf courses, museums, attractions, recreation, shopping, nightlife, restaurants and the Reno/Tahoe Airport are within minutes. 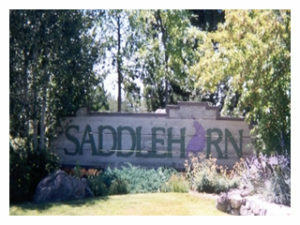 Saddlehorn is located in the South side of Reno where you are surrounded by the stunning mountain views of Mt. Rose. Even today Saddlehorn continues to be in strong demand and the resale values continue to hold up well. 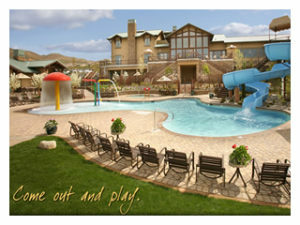 Caughlin ranch in Reno was developed in 1984 and is a 2400 acre planned unit developmentthat has housing options for every taste. As you enter the community, you can see there are no straight roads, that was part of the vision of the developer so homeowners can enjoy the views of all the ponds, walking trails and extensive landscaping in the common areas. Many photographers have used the natural beauty of the ponds and lush trees as their backdrops for weddings and family portraits. 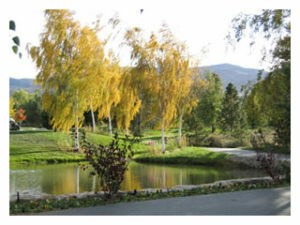 Caughlin Ranch was the first prestige planned development in Reno. Located in the beautiful Western foothills of the Toiyabe National Forest, this is a beautifully planned community with mature landscaping. Caughlin Ranch borders a large, hilly area West of the McCarran loop ring ranging from the hill’s base — Mayberry Lane; to the hill’s peak — at the Caughlin Ranch Shopping Center. The Caughlin Ranch Shopping Center has groceries, restaurants, fitness, mail services, and tremendous views of the Reno Valley. The base of the community and the peak of the community (closest to busy McCarran) contain “tract” type semi-custom homes. The inner section of Caughlin Parkway contains a variety of beautiful custom homes. In general, the greater the distance from McCarran Boulevard, the higher the price of the home. Nestled among the tall green pine trees located at the foot of Mt. Rose you will find St James’s Village. A private, gated 1600 acre master planned residential community limited to 522 – 1 acre plus custom homesites. The result is a meticulously planned and environmentally sensitive community which will enhance the quality of life of its residents for years to come. Within the gates, there are six different neighborhoods to complement any lifestyle featuring one-acre plus forested and view homesites or luxury custom-built homes, meticulously designed with the utmost quality and sensitivity to the environment.